I am already looking forward to breakfast in the morning (which is quite normal for me as I’m well known for ‘always thinking about the next meal’) and I know exactly what I’ll be having. JAM! 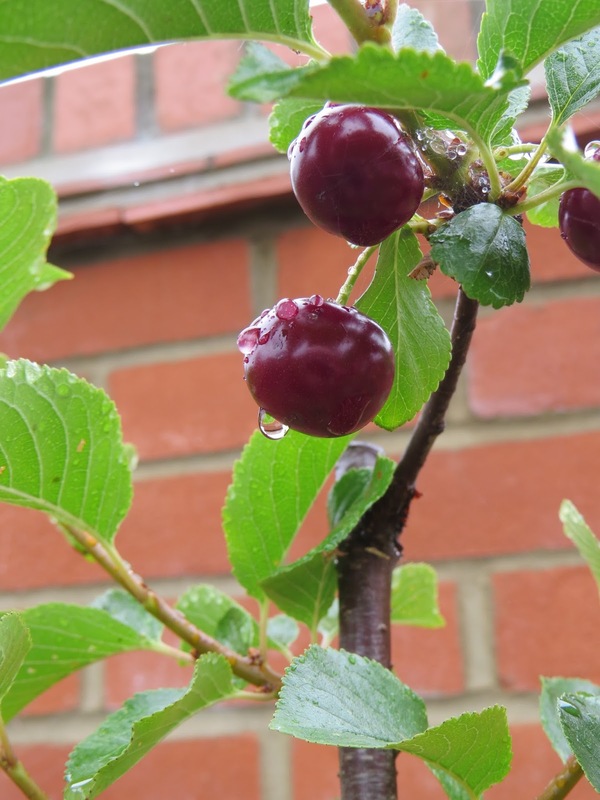 Today I made my first jar of jam using homegrown cherries, which I picked this morning from the garden. 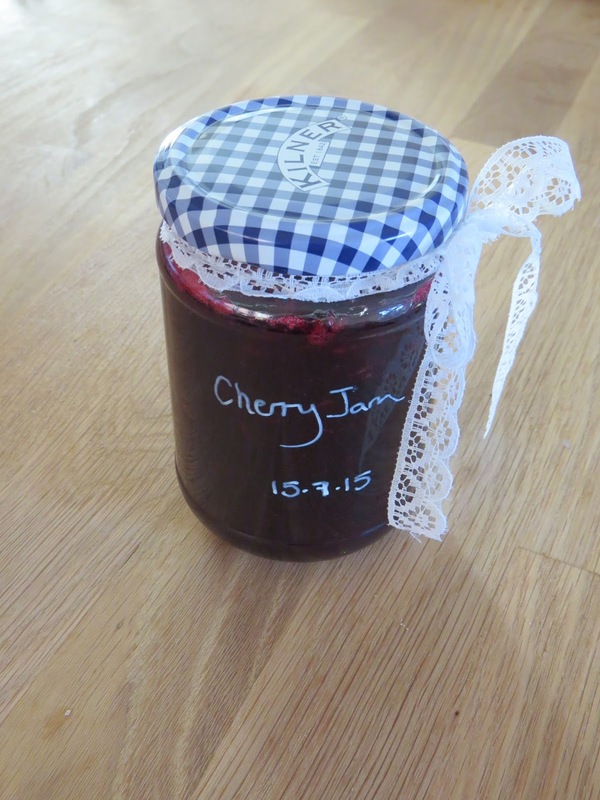 There were only enough cherries to make one jar this time (probably because I’ve been eating them straight from the tree even though they are not technically eating cherries, oops! ), so this jar will have to be used sparingly (yeah right!). A useful tip (which I learnt from my Mum) – before you start making your jam, put a small plate in the fridge. When you think your jam might be ready to turn off, put a small drop of jam on your plate and pop it back in the fridge for a minute or so. Then run your fingernail through the drop of jam. If it wrinkles, its ready. If it is still a runny mess, boil your jam for a little longer and try again.